Ace cinematographer Shamdath who has rolled camera for Kamal Hassan in Vishvaroopam 2 and Uthama Villain will make his debut as a director in Malayalam . sources say that Megastar Mammootty will play an investigating police officer , while Kattapanayil Hrithik Roshan Fame Vishnu Unnikrishnan and Lijo Mol has been roped in for pivotal roles. The movie has a very short schedule and will start rolling on March 24th. 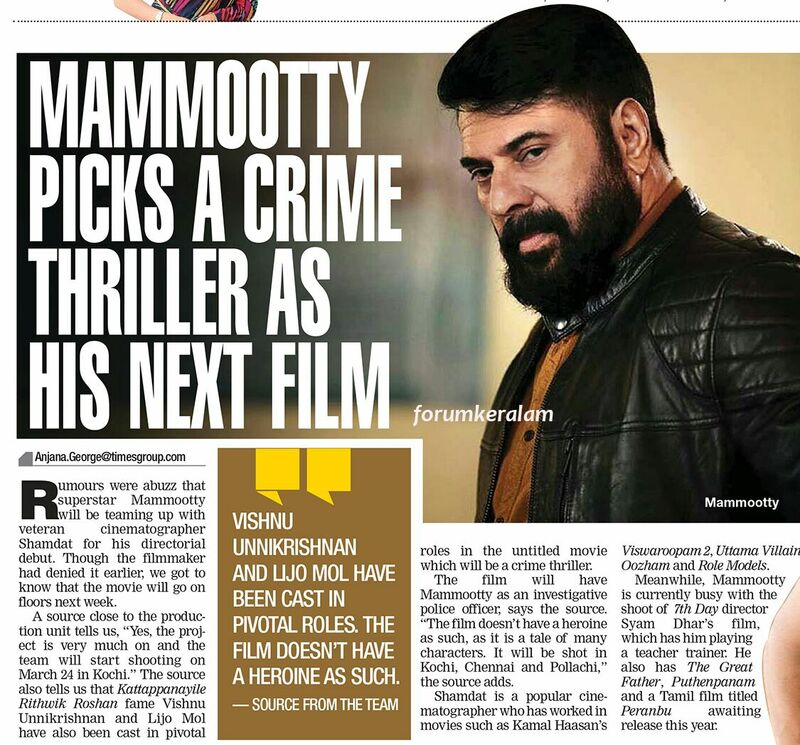 Mammootty is now currently busy shooting for the 7th day director Shyamdhars movie where he plays a college lecturer.His movies The Great Father , Puthanpannam and Tamil movie Peranbu are gearing for releases shortly.